The group has drafted in an independent management consultant to identify how they can be more transparent. THE BOARD OF the Rehab Group, Brian Kerr said their response to “recent political and public demands for information” has been “inadequate”. The group has been embroiled in controversy over the salary payments of some of its top executives, such as former CEO Angela Kerins. Following much pressure, it was finally revealed that she earned €240,000 annually, as well as revelation that Rehab made a €9,000 profit from €4 million worth of scratch card sales in 2010. We recognise that as a Board we have not exercised strict and appropriate oversight of certain issues which have come to public attention in recent weeks. The Board’s priority now is to initiate a programme of transformation and change which will allow us to candidly confront the issues before us and to rebuild the reputation, staff morale and effectiveness of the organisation. Kerr said that the reputation of the group has been “seriously damaged”. In order to restore confidence again, he said the group must instil a “programme of change” and must strive to recover the confidence and trust of the people who use their services. He also said they must recover the confidence from their staff, “the people of Ireland who fund us, including the Government, and other stakeholders − not least our colleagues in the charity sector who have suffered because of the fall-out over the current controversy”. Kerr also told staff that as “a matter of urgency” they are committed to making whatever necessary changes, which will include changes to the Board, which he said will ensure that the organisation can have the full confidence of those “who use our services and those who fund us”. The group said that it has asked Eddie Molloy, an independent change management consultant, who is a trustee of Genio, Chairman of Mental Health Reform and former Chairman of Focus Ireland and other NGOs, to oversee and help with specific changes they want implemented. Molloy will help identify what changes need to be made in order to renew the Board and the way it works. Kerr said Molloy has also been drafted in to identify the best way to increase the degree of transparency – such as how people are paid across the organisation, “so that we not only meet, but exceed, reasonable public expectations and regulatory requirements,” said Kerr. “Rehab Group has a proud record of service” and have “helped to make lives better for many people,” concluded Kerr. He said he hoped by “candidly confronting these issues once and for all and implementing the right transformation programme, we can emerge a stronger and better organisation”. The Public Accounts Committee said last week that there are further answers that need to be given and have asked Kerins, former board member, Frank Flannery and other staff to appear before them again. PAC member and Fine Gael TD Simon Harris said he welcomed the review of the group, but said there were “outstanding questions” that must be answered by the Board. … belatedly setting up a review doesn’t take away from the fact that Rehab board members played a key role in setting pay rates and overseeing other practices at the organisation.It’s now three months since Angela Kerins first refused to disclose her salary as CEO, and questions about the organisation remain unanswered. If Rehab truly wants to rebuild trust, then its former senior executives – including Angela Kerins and Frank Flannery – must come before the Public Accounts Committee to answer outstanding questions. Chairman of the PAC John McGuinness said the committee had still not had confirmation from either Kerins or Flannery that they would attend this Thursday’s meeting. “However,” McGuinness said, “our expectation is that Ms Kerins and Mr Flannery will attend the meeting, along with the Chief Financial Officer of the Rehab Group and members of the remuneration committee of the Group”. The whole issue of change and transformation is a subject we will address at our meeting on Thursday with Rehab. 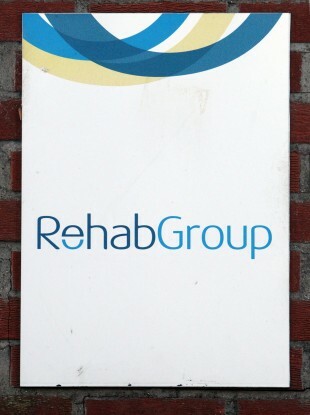 Email “Rehab admit response has been 'inadequate' and 'seriously damaging'”. Feedback on “Rehab admit response has been 'inadequate' and 'seriously damaging'”.